Stock and Bond certificate make unique and memorable gifts for everyone. Scripophily.com has kicked off its annual Dad’s and Grad’s Sales with discounts of up to 50%. Old paper stock and bond certificates make unique gifts that will last a lifetime. 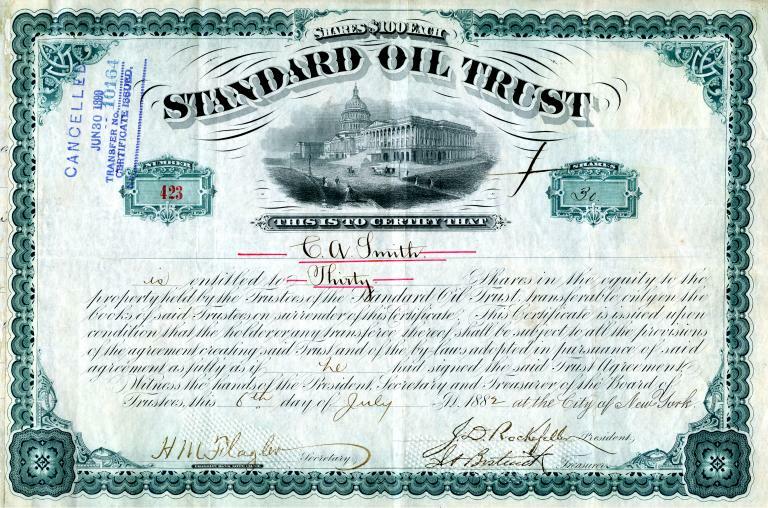 Stock and Bond Certificates are given as gifts because of their historical significance, beauty and artwork, autographs, notoriety, as well as many other factors. They look terrific framed on walls in homes, offices and dorm rooms. In addition, they continue to increase in popularity as Wall Street reaches record levels. 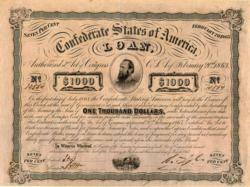 Scripophily.com - The Gift of History is the internet’s leading buyer and seller of collectible stock and bond certificates and have items on loan for display in the Smithsonian’s Museum of Financial History in New York. Our company has been featured on CNBC, USA Today, Associated Press, Reuters, Nightline, Today Show, Baltimore Sun, and Washington Post and in many other media publications. The company also offers the World’s #1 old stock research service at OldCompany.com and offers high resolution scans for publications. Scripophily.com has over 17,500 selections on its website. In December of 2011, Scripophily.com / Old Company Research Service was extremely honored to be chosen as the successor company to all material published by the Marvyn Scudders Manuals, the Robert D. Fisher Manuals, and the Herzog & Co., Inc. obsolete research services (Formally R.M. Smythe Research Services). With this acquisition, our Old Company Research Services have been performed continuously since 1880. On March 25, 2013, Scripophily.com completed its digitalization of old stock and bond research archives and it has been fully integrated with Scripophily.com’s existing Old Company Stock Research Service. With the acquisition and the completion of the research data integration, Scripophily.com now has the most extensive library of any old company stock and bond research service in the world.